Governor Tanko Umaru Al-Makura of Nassarawa State said at the weekend that he has no relationship with the outlawed Ombatse cult group in the state. Al-Makura, at the weekend, said he had no knowledge of the existence of the group prior to the incident at Nasarawa-Eggon in November 2012. He spoke while giving testimony before the Judicial Commission of Inquiry into Alakyo killings of security operatives and other crises. He testified at the Government House, Lafia. Narrating how he first came to know about the cult group, the governor said there was a protest in November 2012 at Nasarawa-Eggon by some youths, who obstructed traffic and held commuters hostage for almost six hours. He said the youths alleged that the military obstructed their prayer session at Alogani village, adding that he went to the scene and invited them to his residence in Lafia. The governor said it was in his Lafia residence that the name 'Ombatse'' was first mentioned to him. The governor, led in evidence by commission's counsel, Mrs. Funsho Lawal, denied being the financier of the group as alleged by Ombatse's lawyer, Mr. Zamani Allumaga. Earlier, Allumaga, while testifying told the commission that the governor gave leaders of Ombatse and Eggon Community Development Association N1 million each when they visited him in November 2012. Al-Makura said he only gave the youths he invited to his residence N1 million not N1 million as alleged for their transportation and refreshment. On the allegation that some members of his cabinet sabotaged the ill-fated security operation at Alakyo on May 7 this year, he said there was no evidence that government officials were involved. 'But the case of sabotage cannot be completely ruled out,' he said. Al-Makura also dismissed as untrue, the allegation that government failed to heed the warning of Eggon elders through retired Justice Ahmed Ubangeri, a former Chief Justice of the state. The warning was that government should postpone the ill-fated operation in order to allow elders to meet with Ombatse priest, Baba Alakyo on May 9, over the activities of the group. The governor explained that the deputy governor informed him of the decision of the Eggon elders at about 6p.m on May 7, while he was in Jos, the Plateau State capital. He said when the information got to him, the security operatives were already on their way to Alakyo. 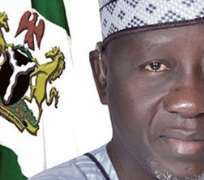 Al-Makura said before he could act on the information, another call came from the deputy governor about 20 minutes later telling him that the security operatives were attacked.